In the world’s largest nation, you will see more flowers than anywhere in the world. The Russians follow a big tradition of gifting flowers be it Chrysanthemums, Carnations, Gerberas, Azaleas or Roses. Camomile (Matricaria Recutita) being the national flower of Russia also has some medicinal uses. Send flowers same day to Russia using our local florists & flower shops. Order by 12 noon. Send Easter Flower Arrangement, Easter Hampers & Gift Baskets to Russia. Send Roses, Carnations, Lilies throughout Russia for occasions like Birthdays, Anniversaries, Funerals, etc. Enjoy affordable flower delivery across Moscow, St. Petersburg, Yekaterinburg, Nizhny Novgorod & nationwide delivery. How do i send International Flower Delivery to Russia? 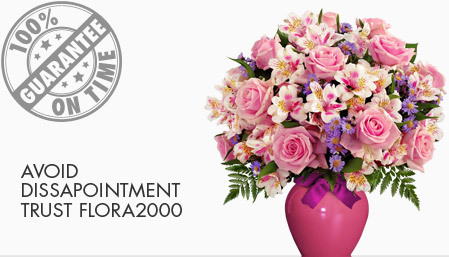 Flora2000 has transformed International flower delivery to Russia into a fine and effortless art. With our efficient flowers & gifs delivery services worldwide; you are sure to find the perfect expression of your message to your loved ones. Be it Roses, Lilies, Carnations or Cakes, our gifts are sure to make both the sender and the receiver happy. We make sure the gifts you give reflects what you feel about the receiver. This will be ono In the world’s largest nation, you will see more flowers than anywhere in the world. During evening time walk down any road and you will see a host of Russians carrying flower bouquets for their loved ones. The reason - In Russia it’s a big tradition of flower gifting. the most popular flowers to send in Russia are Chrysanthemums, Carnations, Gerberas, Azaleas and Roses. Camomile (Matricaria Recutita) being the national flower of Russia. Apart from an affectionate affair, there is also a deep etiquette involved while sending flowers to Russians. Flowers are gifted on dates and anniversaries, birthdays, graduations & promotions. Someone is ill or in hospital. Sympathy or funerals. To a hostess when invited to someone’s else house. Flowers are also sent to celebrate public holidays as New Year’s Day, Valentine’s Day (14th February), Woman’s Day, Knowledge Day (1st September) and Teachers’ Day (5th October). Avoid accidental faux-pas - remember these golden rules while gifting flowers in Russia: For occasions that are to be celebrated, always give odd number of flowers. Even numbers are given at funerals or as sympathy arrangements. Dating a Russian woman? 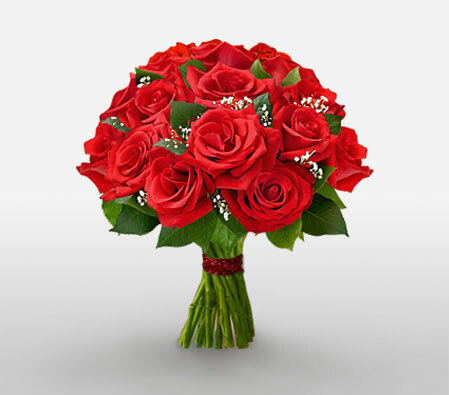 start with lighter colored Roses and then move up to Red Roses to symbolize that your love is deepening. Remember not to give Yellow flowers as these are associated with break-ups. Russians prefer gifts packed in their original forms instead of late wrapped ones, it is their belief that gifts are like their trees. If you want to impress a lady in Russia, perfumes and flowers are the best options, along with big branded jewellery. Funerals are mostly greeted with an even number of flowers while odd numbers are best suited for flower gifting while yellow flowers are considered to be the first choice for sympathy. We have an exclusive collection of flower arrangements, hampers & baskets for this Easter. Our classy collection of flowers & Gifts for Easter to Russia.